A simple listing of the titles with which she was known during her short life as Marie Antoinette of Habsburg, and later Marie Antoinette of Bourbon, brings to memory the series of extraordinary and unforeseen events that together make up the fabric of the most interesting female existences of the eighteenth century. In its first phase, the life of this princess unfolds as happily and brightly as a golden dream, uniting in the same person all the glory of power, all the brilliance of fortune, and all the charm of a radiant youth. Suddenly, however, that long chain of fortunes is cut short by a ghastly typhoon that causes the wreck of the monarchy, the desecration of altars, and the collapse of a nobility which, for many centuries, had been writing with its sword the brightest pages in the history of France. 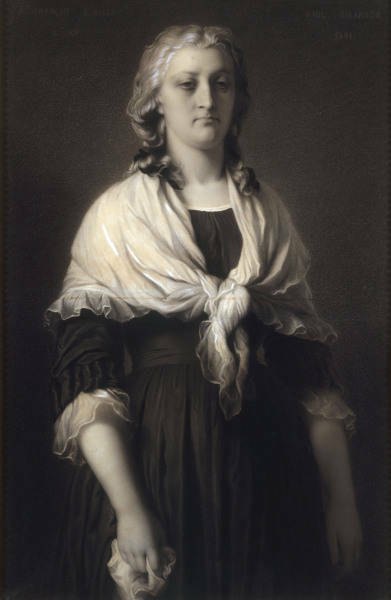 Amid the collapsing social and political edifice of the Bourbon monarchy, when everyone feels the ground crumbling beneath their feet, the joyful Archduchess of Austria and youthful Queen of France, whose elegant bearing resembles a statuette of Sevres porcelain and whose laughter conveys the charms of cloudless happiness, drinks with admirable Christian resignation, aplomb and dignity, from the bitter yet immense cup of gall with which Divine Providence decides to glorify her. 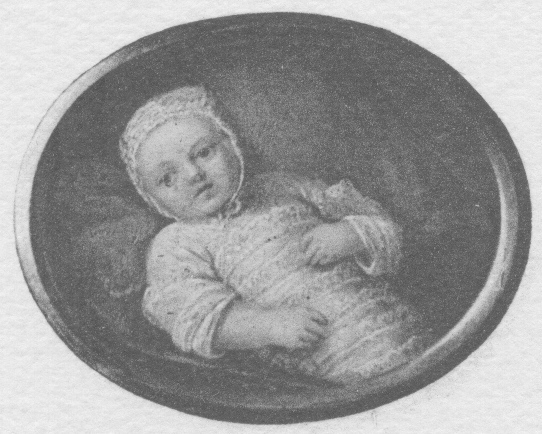 Archduchess Maria Antonia of Austria, the later Queen Marie Antoinette of France, only a few months old. Archduchess Marie Antoinette, daughter of the fiery Marie Therese, Queen of Hungary and Bohemia, and of Francis I, ruler of the Holy Roman German Empire, is born in the year 1755 in the magnificent SchönbrunnPalace in Vienna. 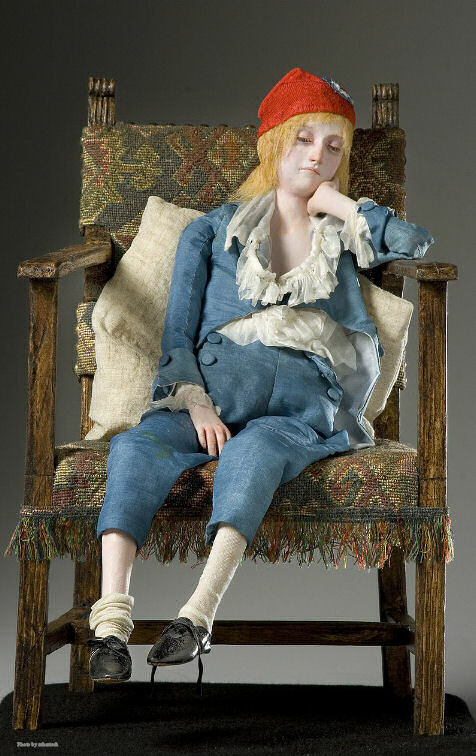 The difference between the characters of her parents may perhaps explain the disconcerting contradictions found in Marie Antoinette’s every action and throughout her life. Marie Therese was courageous and energetic enough to gloriously confront Frederick the Great of Prussia; and her royal authority weighed so forcefully upon her subjects that they called her, even in important official documents, ‘the King’ rather than ‘the Queen’. By contrast, Francis I was weak, cowardly and not very intelligent. It is said that, when Voltaire’s unjust invectives against the monarchy were repeated in his presence, the poor king, lacking enough culture and energy to defend the principles of which he was the custodian, would merely tell his courtiers: What else can I do, my job requires me to be a monarchist! 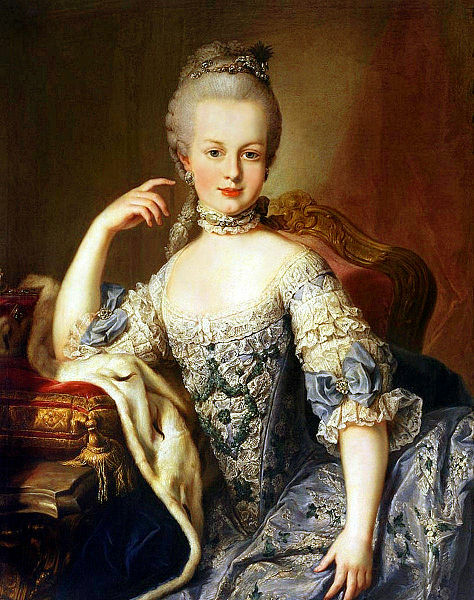 Marie Antoinette spent her childhood at the pompous court of Vienna. The young Archduchess showed herself endowed with natural kindness coupled with a taste for study. Her ‘engagement’ to Mozart, the great pianist, then only a 5-year old child who naively believed to be engaged to the beautiful daughter of the sovereigns of the Holy Empire, is still known to this day. However, the diplomacy of Choiseul, the influential minister of King Louis XV of France put an end to that cloudless childhood. He arranged the marriage of Louis XVI, then still crown prince, with Marie Antoinette. Of course, love did not bind together the hearts of the young princes. It was only a diplomatic agreement in which Austria, true to her policy of wedding alliances aimed exclusively her own advantage, was giving away one of her archduchesses in exchange for some compensation from France. When the final diplomatic negotiations were completed, the young Marie Antoinette bid farewell and set out to the country of which in the future she was to become the powerful Queen. 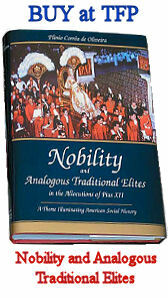 She was accompanied by a brilliant retinue consisting of the highest nobility of the Holy Empire. A curious ceremony to “deliver the archduchess” took place on the French border. There stood a building consisting of two absolutely identical parts, one in French and the other in German territory. 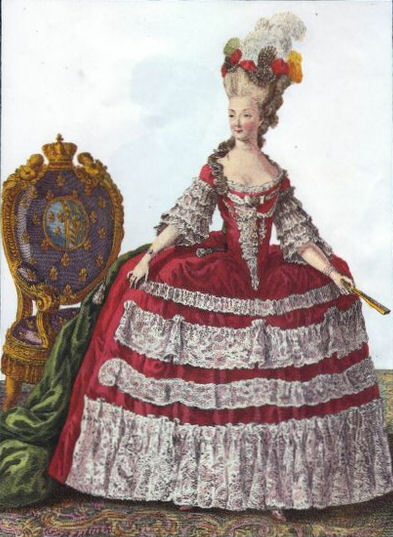 The archduchess’ entourage entered through the German door taking Marie Antoinette to the room where she will for ever leave behind her costumes as princess of the Holy Roman Empire and replace them with a French lady’s. Thus attired, Marie Antoinette, accompanied only by the Austrian ambassador, entered the French part of the building. 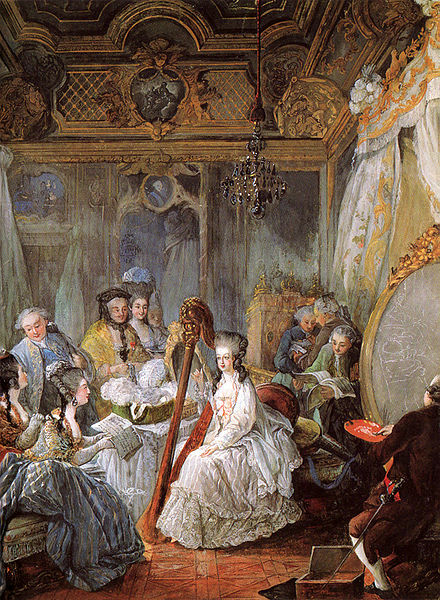 There all the nobility awaited, displaying the incomparable elegance, immense wealth and refined artistic taste that characterized the French court at the time. Louis XVI, then a simple crown prince, was known for his austere conduct and for the piety, kindness and honesty that adorned his character. His bitterest opponents were able to raise only three charges against him: being apathetic, a glutton and a highly skilled locksmith. In the new princely family, formed without deep bonds of affection, the Christian spirit that imbued the spouses more than compensated for the absence of love. Marie Antoinette and Louis XVI were always exemplary spouses who built the undeniable happiness of their family life on the solid foundations of mutual respect and absolute morality. The years that elapse between her marriage and coronation are perhaps the happiest in all of Marie Antoinette’s short life. One of the curious facets of the character of the young wife of Louis XVI was her burning desire to have a close friend and confidant for all times and situations. 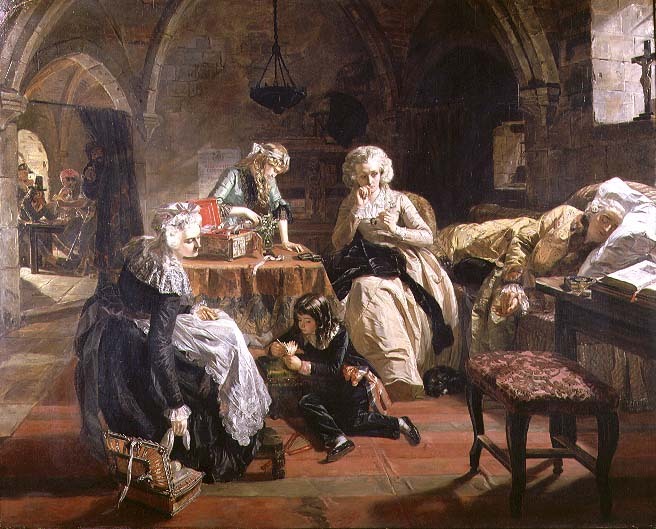 No sooner did she cross the threshold of the door that separated the archduchess’ past from her future as a French Princess than her gaze fell on a lady of ideal beauty, the Princess of Lamballe, akin to the Royal Family and the unfortunate widow of one of France’s most rattlebrained aristocrats. 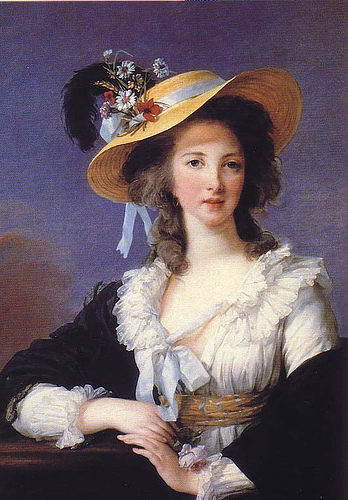 The Princess de Lamballe was young, beautiful and essentially aristocratic in her gracious bearing and peerless elegance. Her deep blue eyes reflected all the candor of her soul devoid of malice and the immense sorrow of her youth spent without laughter. Her frailty was such that she once fainted from fright before a painting of a crab. She was the first and most sincere of Marie Antoinette’s friends. A little later, however, she was replaced by the frivolous Countess of Polignac. 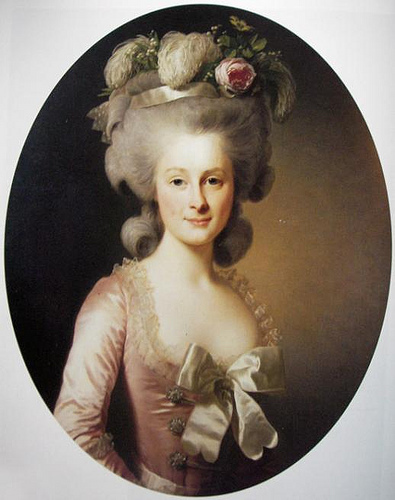 The Princess of Lamballe bore her removal with a dignity befitting a great soul. She neither complained nor lowered herself. She only reappeared on the scene when her severed and mutilated head was paraded in the streets of Paris. 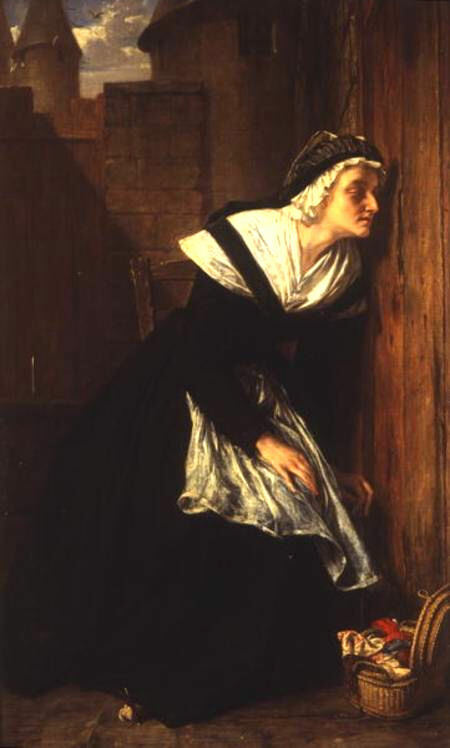 She had come from England in search of the unfortunate martyr Queen, whose infidelity in happy times she now forgave in the bitterness of suffering. The one who had fainted in front of a painted crab had enough courage to brave the revolutionary hurricane and die for the cause of her friend who, in times of splendor, had been unfaithful to her. 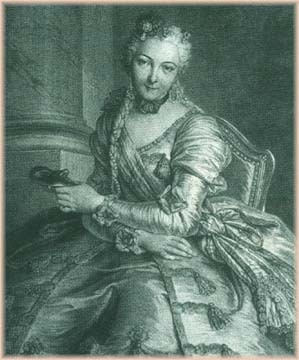 For her part, the Countess of Polignac, rather than exerting a salutary influence on Marie Antoinette, dragged her to rampant gambling. An extremely costly gambling card game Pharaoh was then in vogue. Pharaoh games would begin at the Polignac residence every evening and end in the early dawn. People watched with indignation as the co-heiress to the throne became a regular participant in them. This was for Marie Antoinette a source of deserved reproach. Soon afterwards the soon-to-be Queen of France was seen in a popular carnival ball at the opera, dancing innocently and oblivious to the dignity of her position. Slowly but surely, rumors spread; and when the old Louis XV died, Marie Antoinette ascended to the throne with many people already disliking her. Still, there was great enthusiasm and applause as they announced to Marie Antoinette, one late evening, that with the death of Louis XV the time had come for the weak and good Louis XVI to be crowned king of France and of Navarre. The festivities of the coronation displayed a curious contrast of poverty and pomp. Having been consecrated and crowned king of France in the ancient and stately Cathedral of Reims in the presence of all the French nobility and clergy; anointed by the Holy Father’s representative with the oil that, according to tradition descended from heaven on the day of the conversion of Clovis; and having received the homage of the nation’s most representative and prominent persons, Louis XVI left the cathedral accompanied by the Bishop of Autun. As he came out, the King touched with his hands the wounds of more than 2,000 patients of all kinds lined up by the door waiting for him to come out. According to tradition, the touch of his sovereign hands would heal certain diseases. It is said that, as a harbinger of tragic events, the crown to be placed on the King’s head fell from the hands of the Apostolic Nuncio and, hitting Louis XVI on his forehead, wounded him to the point of drawing blood. With the coronation, the long suffering of the Queen begins. The people were starving and would not understand that the royal court’s expenses were for the most part necessary for the decorum of the monarchy. 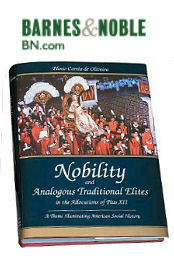 Always a victim of vile and unconscionable demagogues, the people did not understand that, while the nobility enjoyed great privileges, it also supported the Army and Navy at its own expense and paid for much of the country’s administrative costs. Finally, the people did not understand that the clergy, a selfless class that had always fought relentlessly for good against all evil, for the weak against the powerful and for God against His enemies, the clergy alone paid for all the costs of the services now rendered by the French ministries of Education and Religious Affairs. Yet, the fallacies of a destructive mind like Voltaire’s and the bleeding-heart yet perversely hollow eloquence of Rousseau had spread gangrene throughout French society. 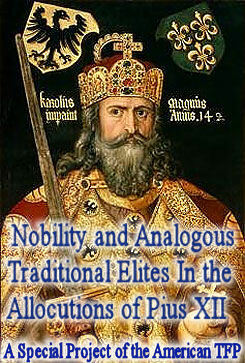 That frivolous nobility, that pretended to have forgotten their God, would soon show they had also forgotten their King, their past and the enormous trove of glory represented by the noble traditions with which they were entrusted. The irreligious and dissipated life at court had turned those nobles, whose ancestors had been fighters, into dancers. The people, moved by envy rather than hunger, and oblivious of the fact that to play a humble role in society is also to fulfill a divine mandate, launched forth in fury against the political organization of France. The 14th of July saw the invasion of Versailles by a bunch of hags dragging behind them the scum of the Parisian population, imposing a Phrygian cap on the weak King and basely insulting a monarchy unable to defend itself; it also saw the massacre of innocent priests who paid with their lives for the great crime of having dedicated themselves body and soul to God’s service by preaching His holy Name and His Law of love and peace; and it witnessed the assassination of several nobles who would not, in time of danger, desert the throne around which they had spent their lives dancing. Did that whole series of horrible crimes that soiled the pages of human history shake perchance the Queen of France, daughter of the proud Hapsburgs? Never! That porcelain doll of Trianon dancing fame never bowed her head before the ignominy of her enemies. Not for an instant did the dethroned sovereign cease to be Queen. Greater in suffering than in glory, confronting unarmed with her son in her arms the furious mob of drunkards that invaded the royal palace, she showed to be from a race that fears no danger, particularly when embodying a just cause. 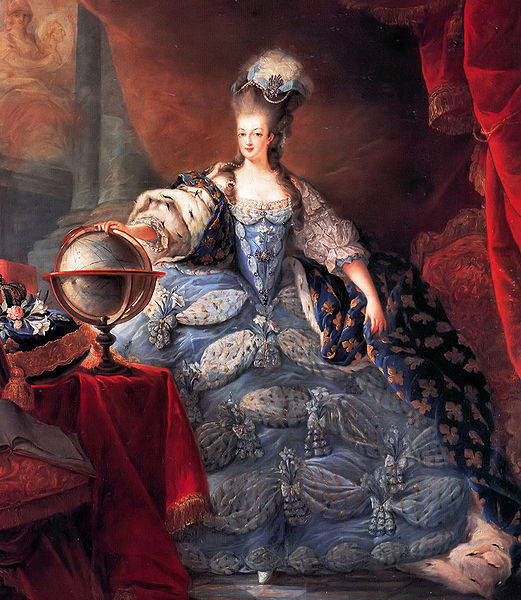 With royalty dragged into the Paris mud and Louis XVI’s weak personality bent low under the weight of misfortune, Marie Antoinette became the sole bastion of resistance. Turning her misfortune into a dazzling throne for her personality, armed in the face of suffering only with the sublime breastplate of faith and Christian resignation, she fearlessly confronted the tidal wave about to overwhelm France. 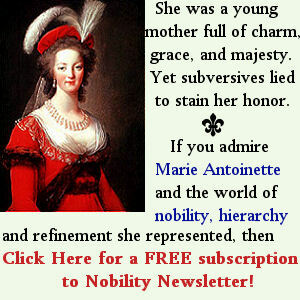 As a wife, Marie Antoinette suffered the greatest of martyrdoms. After being the target of most cruel insults, her husband, to whom she devoted all the feelings of an exemplary Catholic wife, was eventually dragged to a death regarded as glorious by posterity but which at that moment seemed utterly depressing. From his prison in the Temple he heard Marie Antoinette’s voice and the rattling drums announcing that the National Convention, in the name of equality, was about to destroy him, the innocent representative of royalty; that in the name of freedom, it would prevent him — even at the foot of the grave — from saying goodbye to his people whom he loved so much; and in the name of fraternity it would soon take his life with the guillotine. Marie-Antoinette looking through a crack in the wall of her prison so she can catch a glimpse of her son. 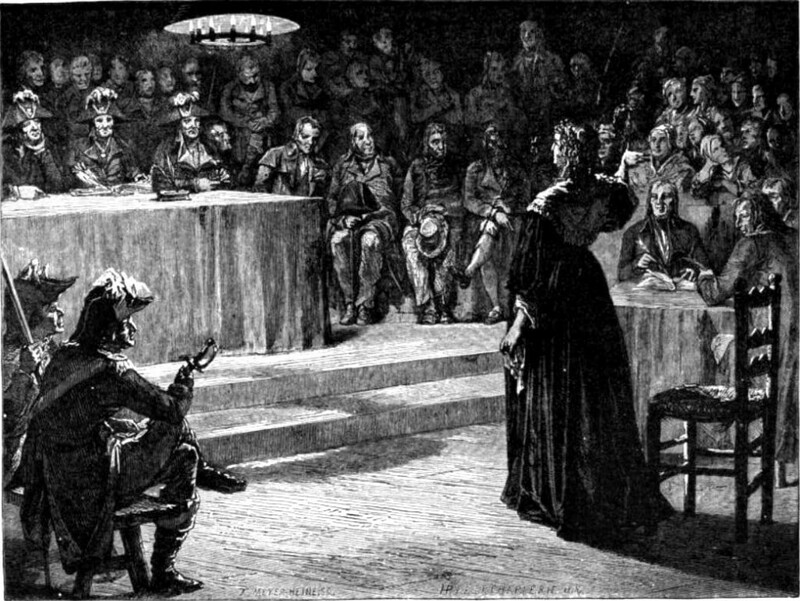 Finally, she was judged by the “Committee of Public Salvation” for betraying her country, being a new Catherine de Medici, a bad wife and mother, and especially for the less admissible reason that she opposed the heretical goals of a certain secret charitable association which is not entirely unknown. During the proceedings, her suffering attains an apex. Brutalized by alcohol, her son had been turned into a little animal, constantly trembling with fear. Imagine the scene: on a stage sit the executioners who, for the occasion, call themselves judges. In a series of benches, half a dozen disgusting people reeking of alcohol play the role of jury. The Queen, thin and wearing a long black robe, her hair entirely white, aged in her sad and overthrown youth, enters with all the majesty of her still proud decadence, beautiful and always dignified and invincible, into that cage where her reputation and motherly heart will be torn apart by the wildest and most cold-blooded beasts that French history has ever seen. The brutal interrogation begins, feline and perverse. The Queen either responds with dignity or remains quiet, disdaining with her silence the infamy of certain accusations. 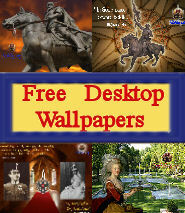 Now they usher into the room the crown prince to the thrones of France and Navarre. He wears rustic wooden clogs, a Phrygian cap on his head and has the sorrowful and brutalized look of one who has been long suffering all the horrific abuse of an executioner as barbarous as Simon. With the stupid look of inveterate alcoholics and a whiny voice, he heaps upon his mother the most disgusting insults. Behold, gentlemen, the height of suffering. The scene, terrifying in itself, dispenses with any comment. I will tell you only that the Queen, in a magnificent cry from a mother’s heart ulcerated by the most atrocious sorrow, with the eloquence of her hallucination and extreme suffering, makes an appeal to all the mothers present, asking them if they believe the boy’s insults. There follows from those present at court to watch the proceedings a burst of applause and frantic enthusiasm for that victim, as if human nature, long compressed deep in the hearts of those hags, had finally exploded. And Marie Antoinette, in the dock and at the height of ignominy, receives a stunning, heartfelt standing ovation from her tormentors. What to say, gentlemen, about this historic episode? Death finally came. In His immense goodness, God had prepared a worthy place in heaven for her who had suffered so much and loved Him more when He sent her trials than in the fullness of pleasure. October 16, 1793 saw the end of her long martyrdom as the guillotine blade, at the same time criminal and charitable, cut off the thread of her extraordinary life. 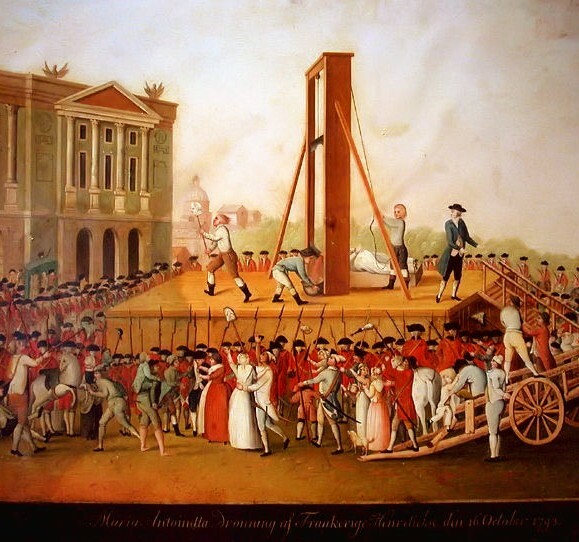 Marie Antoinette’s execution on October 16, 1793 at the Place de la Révolution. Thus ends the sovereign martyr whose story recalls a delicate courtly minuet with harmonious notes suddenly drowned by the frightening roar of a hideous revolutionary Farandole.